Resize any symbol horizontally or vertically. They’re optimized for every viewport! 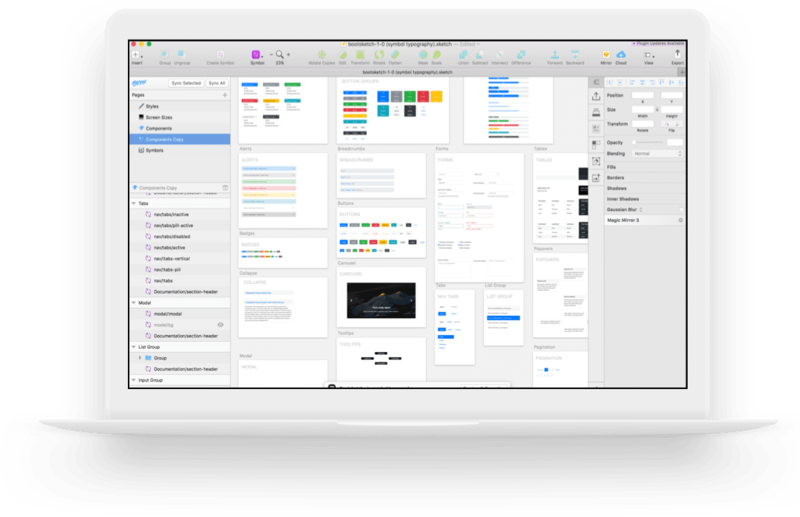 It's essentially a well maintained @sketchapp template of the @getbootstrap framework. Nested symbols and styles make your life easier. Bootsketch uses a consistent naming convention in all of its symbols, text styles, and layer styles. All components match Bootstrap 4.0 documentation. Down to the last pixel. 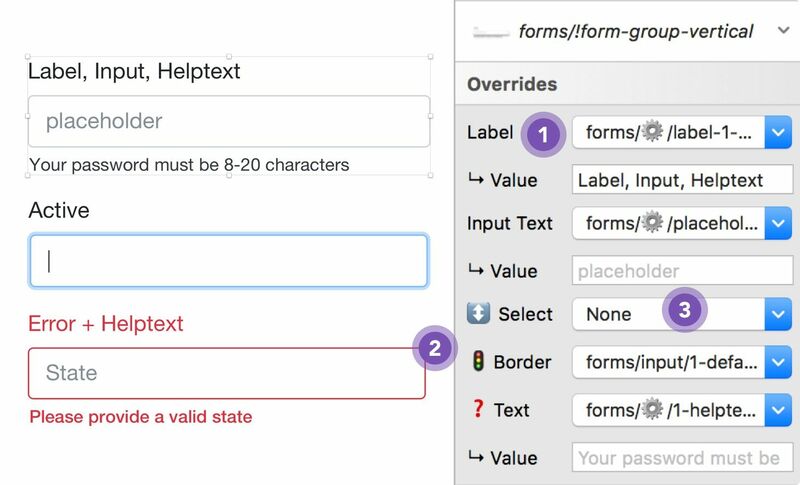 Overrides allow you to use the same component for multiple purposes. We’ve packed every ounce of variability into Bootsketch. Check it out -- These are all the same symbol!